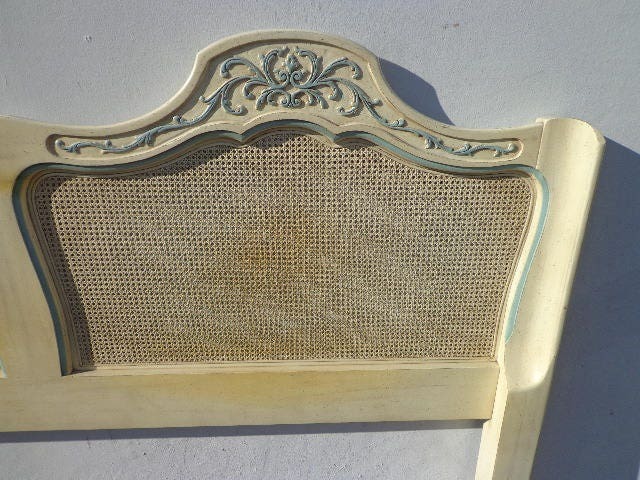 Exquisite and fabulous vintage glam headboard with an amazing shape and design. 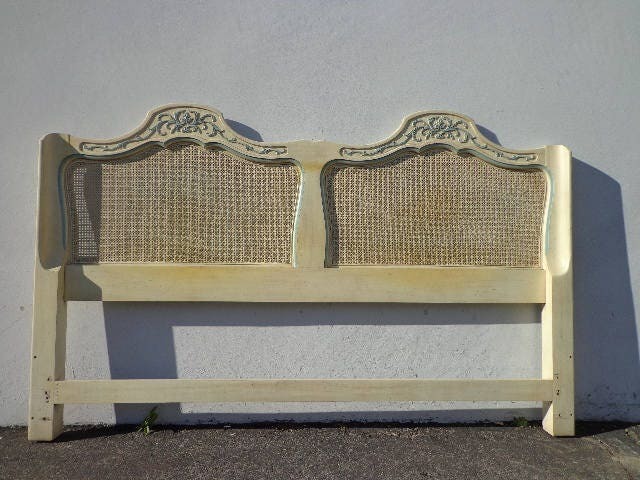 Features an appealing French Provincial / Rococo / Neoclassical / Hollywood Glam design with no detail spared. 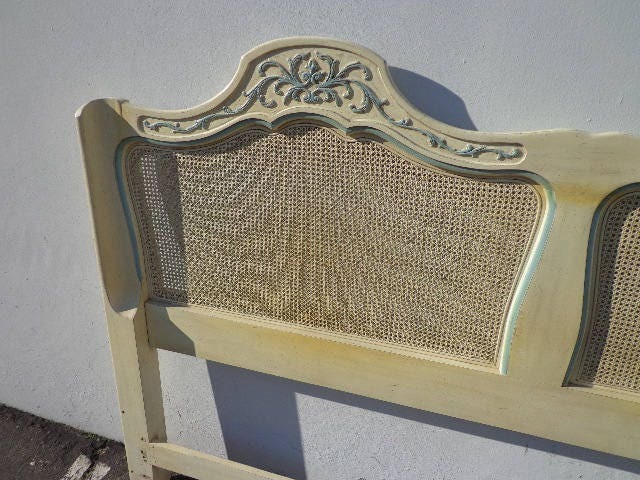 Absolutely stunning and rare piece that will be the focal point of any bedroom. 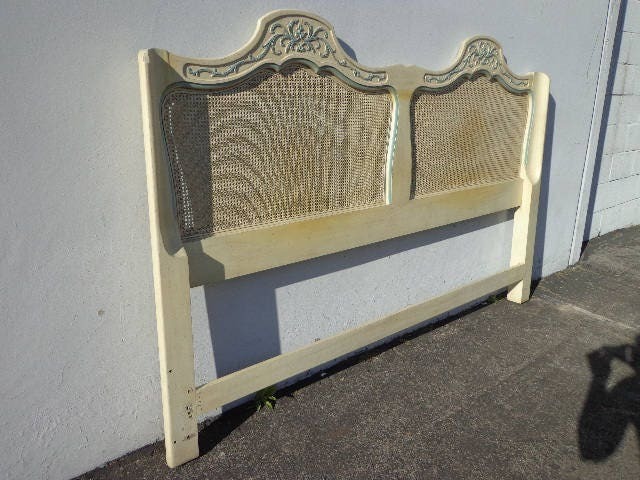 Fits any standard king or Cal king bed. 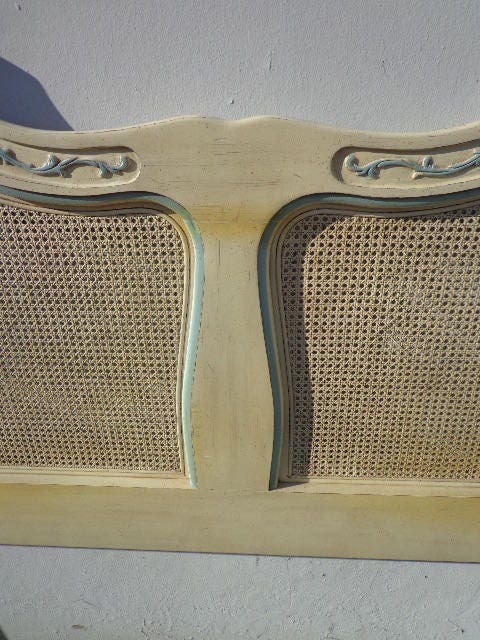 Cane panels are intact. Shows surface wear that is commensurate with age and use. May need some refinishing. Shows wear to the paint finish. Dimensions: 77 1/4" x 49"